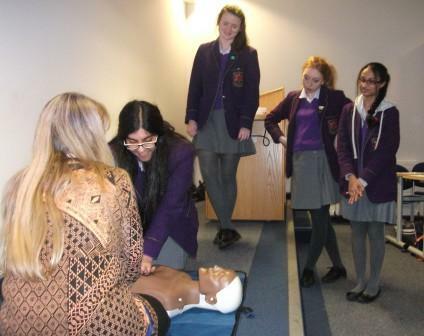 Five Year 11 students; Alice Galatola, Emilie Hughes, Flora Robson, Menahel Sajjad and Sana Iqbal, took part in two consecutive Taster Days at the Royal Blackburn Hospital. The broad aim of the days was to offer insights into the vast range of careers within the NHS, both clinical and non-clinical. 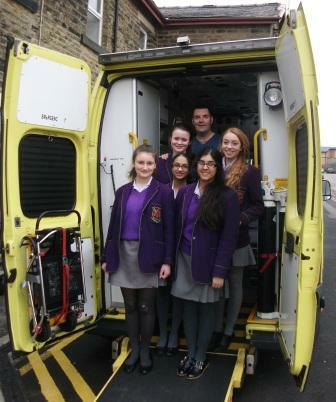 There were presentations on the role of the Paramedic, plus Nursing, Physiotherapy, Radiography and Dietetics in addition to sessions on Hand washing and Infection Control, Back Care and Safer Moving, Basic Life Support Skills and Medical Support Services. The five students, whose names had been drawn out of a hat, were involved in some very active learning throughout the two days. 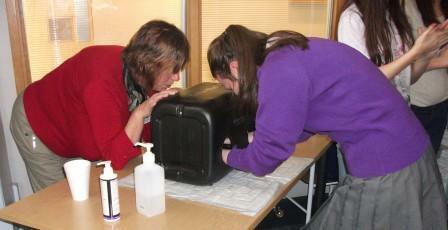 Photographs show a visit inside an ambulance, checking the cleanliness of hands after handwashing using a ‘Glow Box’, tasting various food supplements and Alice volunteering to try out a ‘Hover Jack’ emergency rescue tool for patients with suspected spinal injuries. 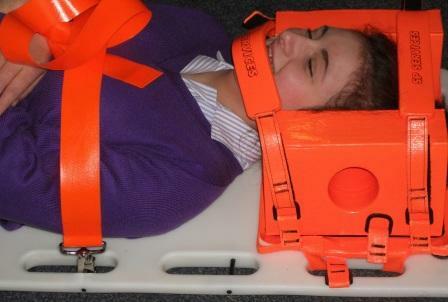 Many Year 11 students were interested in attending the Taster Days and the five students will be providing feedback for their peers to pass on some of the key points which they learned and Mrs Lawrence-Beard, who accompanied the students, will be making power-point presentations available from the various medical personnel involved. Some of the speakers, for example Susan Simmons, Senior Radiography Tutor, will also be available to talk to students and parents at the forthcoming Westholme Careers Convention for Years 8 and above on Thursday 20th March from 7pm – 9pm.